This comet image was taken during a windstorm having brought exceptionally clear sky which is unusual in our country. The faintest recorded stars are weaker then 17th magnitude. The open cluster NGC 1245 is visible in the lower part of the image. 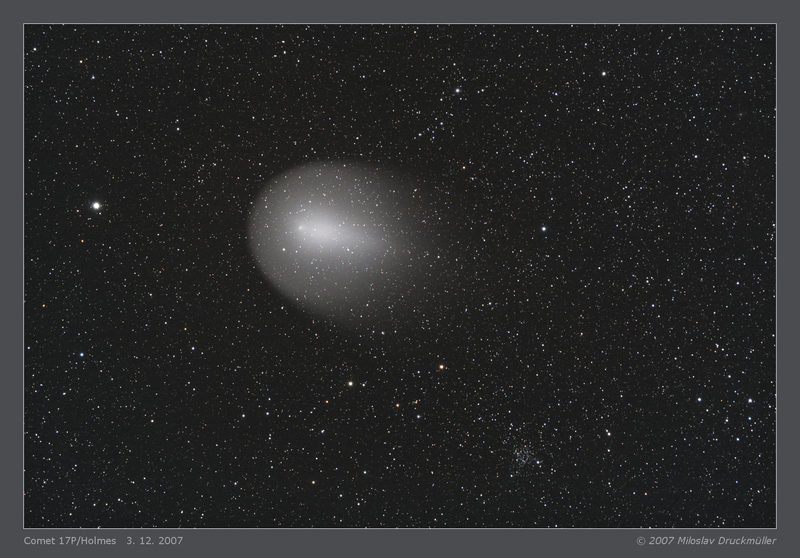 See also this image showing the development of the comet within five following days.